We love pasta dishes. 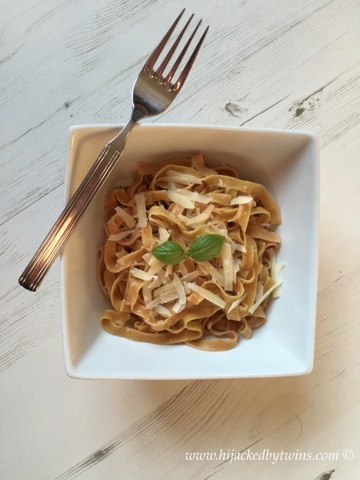 Pasta meals are always a success in our house, whether it is covered in sauce or served in a plain and simple way like today's dish they are always enjoyed by all. One foodie product that I love are artisan products. 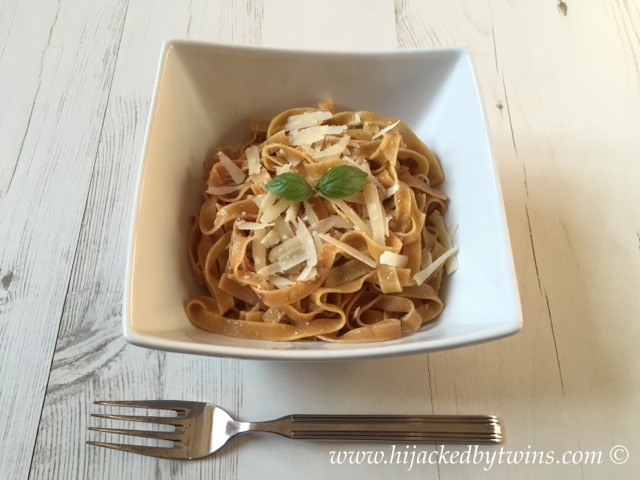 So when the hubby saw some deliciously red tagliatella on a recent shopping trip he knew that it would go down well. 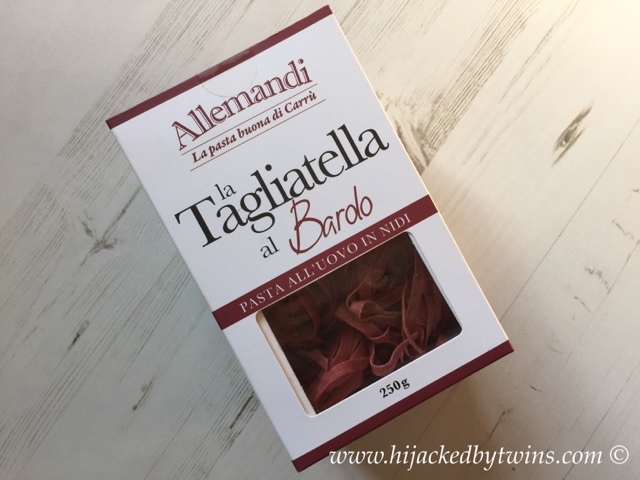 This red tagliatella is made red by using beetroot juice and Bardo red wine. 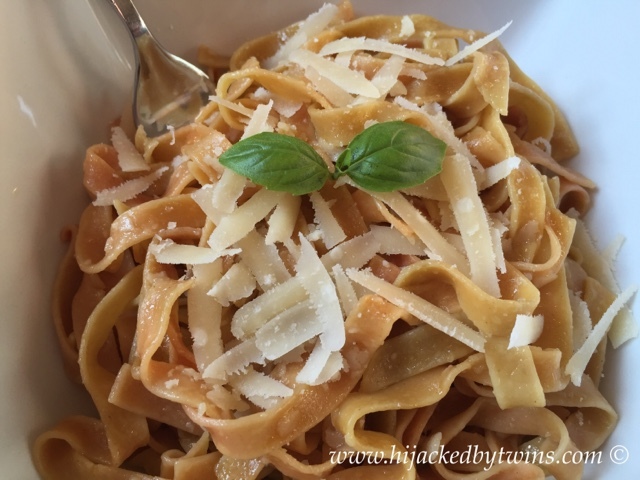 A pasta like this does not need a heavy sauce, it needs complimenting with traditional Italian flavours. 3 - In the pan gently heat the olive oil and add the crushed garlic. Cook gently for 5 minutes. This dish is simply yet so delicious. 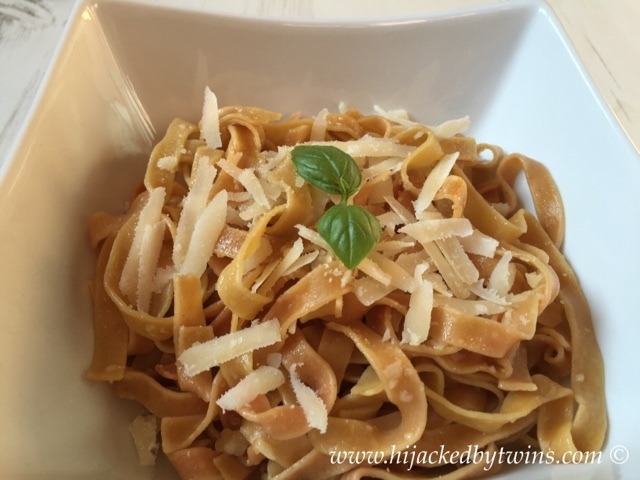 It is perfect for a quick mid week meal when you are short of time you know that within 15 minutes you can have a meal that is full of the flavours of Italy!